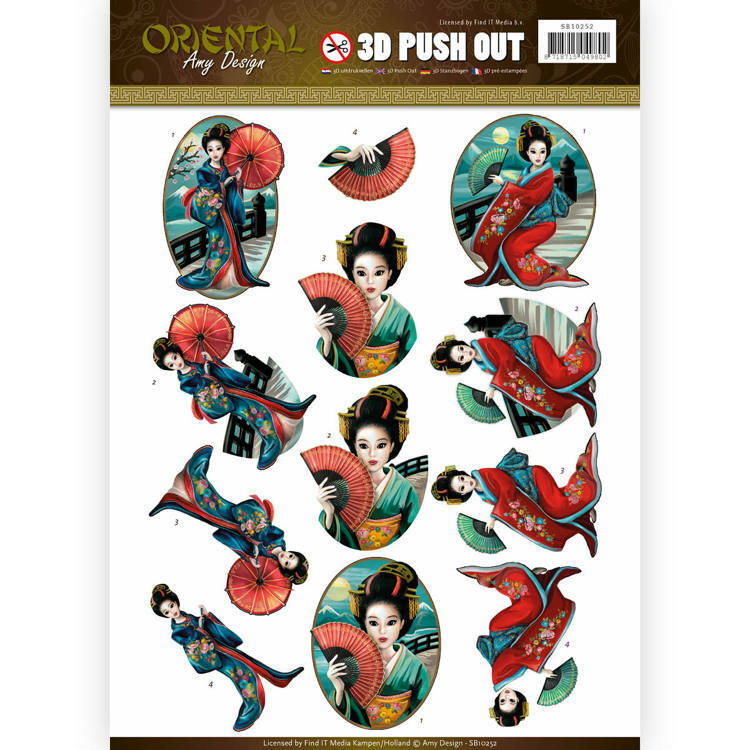 A super die-cut 3D decoupage sheet in inspiring Amy DesignOriental theme. Images can be pushed-out of the sheet so theres no need for scissors. Especially convenient for those who have trouble cutting out fine details.